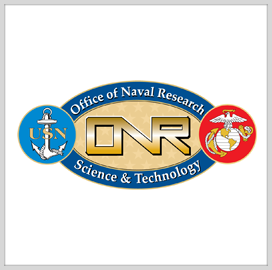 Researchers at the Naval Surface Warfare Center (NSWC) are using drones to detect submerged and buried mines using a system sponsored by the Office of Naval Research’s (ONR) TechSolutions program. Designed to safely remove explosive ordinance in both coastal surf and shallow-water, the Mine Warfare Rapid Assessment Capability system (MIW RAC) consists of a one-pound quadcopter that carries an ultra-sensitive magnetometer for mine detection. . 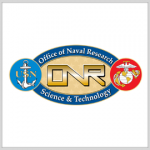 The system provides a real-time aerial complement to existing underwater mine-detection capabilities, ONR officials said a release, and can deliver real-time search data to a sailor’s handheld Android tablet. The system enables teams to find and quickly dispose of mines and metal obstacles in coastal surf zones and shallow-water zones. It’s equipped with a unique magnetometer sensor suite that uses complex algorithms to differentiate between objects. MIW RAC has component parts that were developed by BDS and Physical Sciences Inc. along with TechSolutions’ guidance from ONR. “We took our inspiration from a stationary scanning system developed by BDS,” NSWC scientist Rosemarie Oelrich said. “It was sensitive enough to not only detect weapons, but identify the hidden location of the object on a person and the angle in which it was oriented — a knife in a front pocket or gun turned sideways, for example. Later this year, TechSolutions will deliver prototype MIW RACs to NECC’s Explosive Ordnance Disposal Group for further testing and evaluation, and the Navy hopes to see the system issued throughout the fleet next year.